For example, this document will read args and output_file from the environment created by shiny_prerendered_html()'s invocation. Perhaps it should have parent=globalenv()? This should be the correct fix to #619, instead of the PR #624, which introduced new.env(). The environment should not be simply render_args$envir (which defaults to parent.frame() in render()), because Shiny's input/output/session variables are not available in this environment. 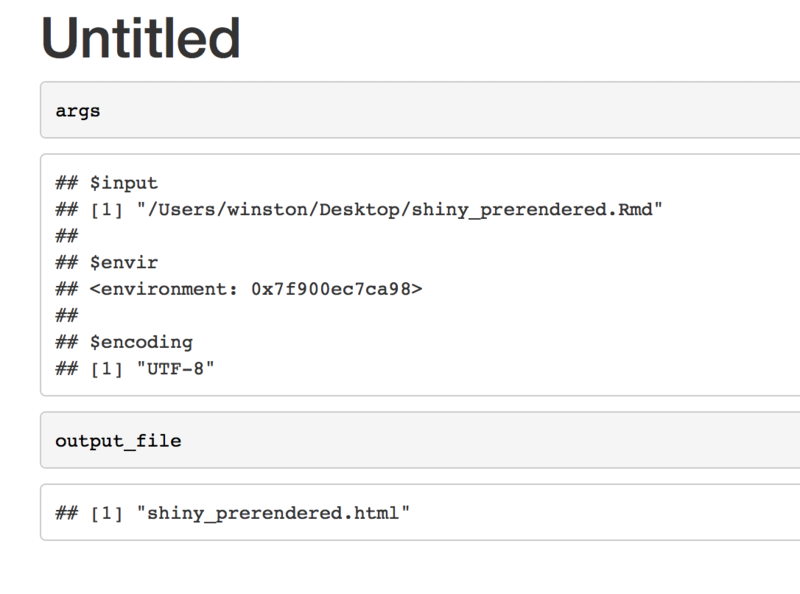 We have to create a new environment with the environment of Shiny's server function environment being its parent, and render_args$envir being its grandparent environment. All previous relevant cases #1162, #619, and #1124 have been tested.